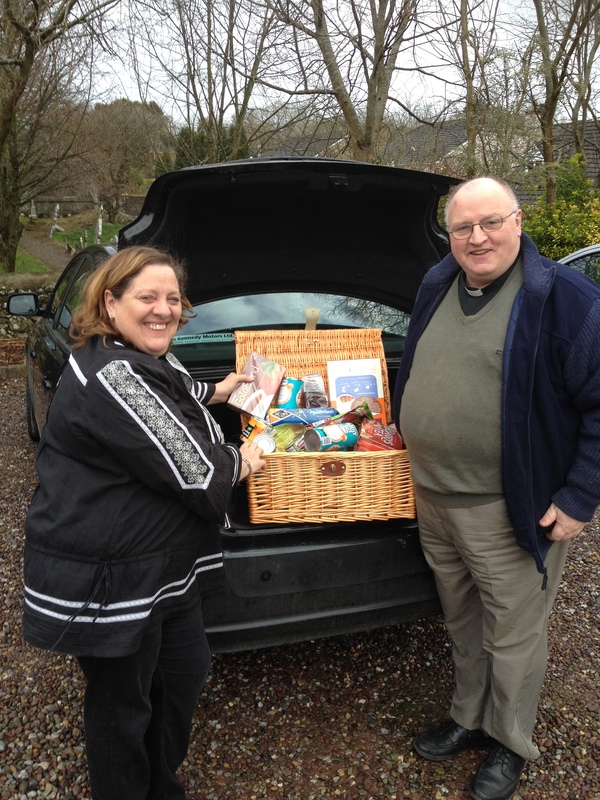 In Moviddy Union of Parishes (Aherla, Crookstown, Kilmurry and Macroom), for example, the Priest-in-Charge, the Reverend Tony Murphy, coordinated efforts and baskets of food items were collected. 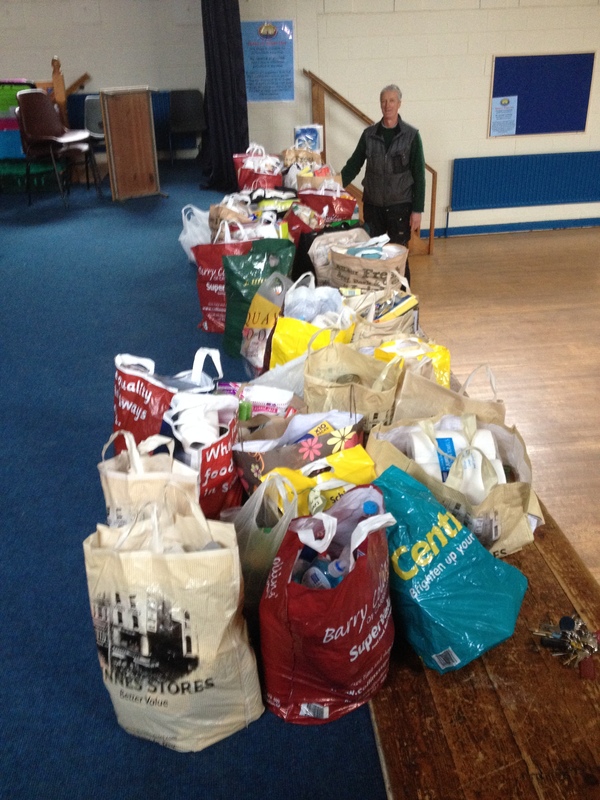 The food collected by Moviddy parishioners was added to the items donated by the children of St Mary’s Church of Ireland National School in Carrigaline and delivered to Cork Penny Dinners. Pictured is Rowland Newenham in the Canon McCrea Hall, Carrigaline, preparing to load up the many bags into his van for delivery to Cork Penny Dinners. This entry was posted in Charities in the Diocese, Charity Work, Children's Ministry, Children's Work, Church in Society, Contemporary Issues, Cork, Fund-Raising, Parish News, Pastoral, People from the Diocese, People in Need, Voluntary Work. Bookmark the permalink.